When I found out I was pregnant for the third time, I was super excited but a part of me was terrified too. 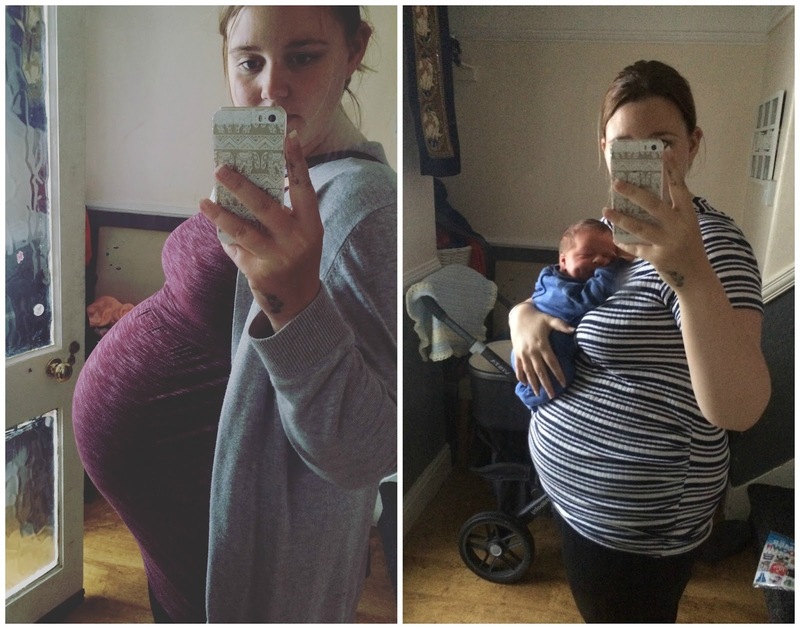 I was scared having to go through Obstetric Cholestasis again, I was scared because of my weight, how was I going to cope with three and most of all incase my depression came back again and worse. 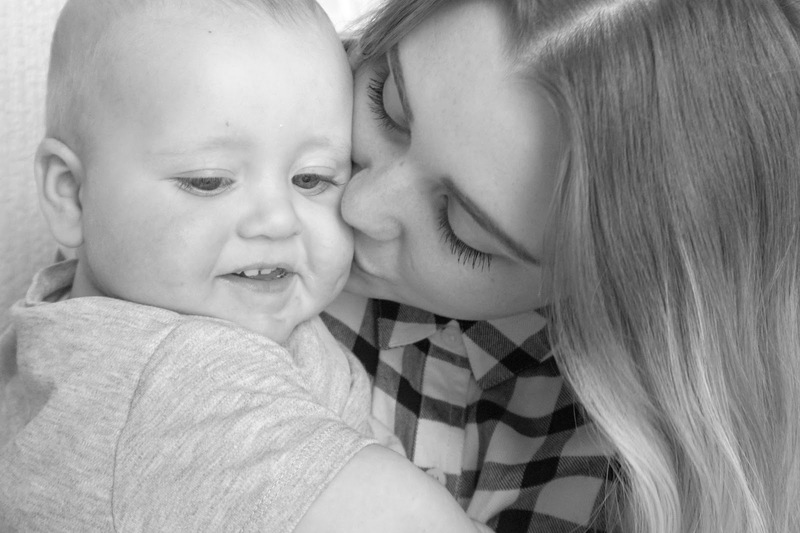 After I had Elliw, my second baby, I had bad depression. I've overcome it but not 100%, it's nothing compared to what it was before. Luckily, I've not been too bad since having Freddie. My anxiety has worsen but depression not so much. I guess I can say I am much better than I was after I had my second. I knew from the moment I found out I was pregnant that I wanted to breastfeed and I stuck to that idea from the beginning. I felt extremley lucky that Freddie latched on pretty much straight away from the first feed and I've had no problems in the ten months that have passed. I have felt overly protective with Freddie, I'm not 100% to why because I was never over protective with the girls. I was confident and comfortable with them being able to stay in a grandparent's house or with a friend if I wanted to pop somewhere quick. But with Freddie, there's this attachment which I think, from experience, could be due to breastfeeding. I formula fed both my girls and it was my choice to breastfeed Freddie. Another reason I may have been (and still am) so attached is because he is my only boy and my last ever baby. Although it would be nice to be pregnant and go through pregnancy and the first hold again, I don't want to have to raise another baby. I feel three is enough for me. Not was it only me who was attached, Freddie was also attached to me. For the first few weeks or couple of months, Freddie would cry with other people, even his own Dad. It did hurt me a little when he would cry with his Dad (my partner) because I felt guilty but in a way I was happy too that Freddie wanted me. As weeks went by I started to realise that I hated people holding Freddie. I hated going over to people's houses, or visitors coming here and taking him off me. Many of times I had to go to the bathroom, wipe my tears. It sounds really silly but I couldn't control my feelings. Freddie and I were so attached to each other. Watching other people try to soothe and settle him when he was crying broke me even more. It took me a good few weeks for me to get used to my own partner, his own Dad, taking him out for a few hours. At the beginning he just took him for an hour or less. A walk on the local cycle track and back home. Each time after that it was a little longer and I think we did it the right way. Each time he went, although I had tons of work I had to do, hundreds of e-mails to get through, lots of washing to do, I felt lost. I wanted my baby back home with me. Freddie cluster fed, a lot. He was stuck on me pretty much most of the day in the first few months, one of my reasons for weaning him at four months old. The first time he went with someone else other than my partner was on Mia's birthday party. I was getting the decorations up and my partner was doing the foods. His parents went to take him for a walk so I could get things done. Although I was busy, I wanted him back home. He wasn't out for long as we didn't have much left to do but the time he was out, I was nervous and sad. The second time was with my Dad. By this time I started to get used to him going a few hours away from me as my partner takes them some Sunday's so I get work done. My Dad took him and the girls from about 10.30 until 2pm. It was a nice break but I still found myself lost. Ten months later, I'm still feeling anxious when he goes out places without me. I worry incase he needs a feed or if he wants me. Although at the back of my head, I know he's fine. I'm much better at giving him to people to hold now. I don't get all fired up or upset (as much). I have noticed that recently the only people I don't like holding him are people who don't do much with him. Again, sounds ridiculous. He's been going to his Nain's (my partners parents) once a day, every week for the past month. My partner and I are going out for our first proper child-free full day on the 20th. We're doing something to celebrate six years together. It should be lovely and I'm really looking forward to it. Each week Freddie has gone I've been a little nervous but he's been really good. The first time he was quite upset but the three times afterwards, he's been a star. He's been really good. Which I'm glad. I've come to a stage where I am exhausted. I'm exhausted from the lack of sleep for over 10 months. I feel like I need a break. These little breaks a week have helped me, a lot. It's helped me catch up with a lot of my work and it's also helped me be ok with Freddie being with other people. I did feel guilty for having that horrible feeling and not liking people hold my baby boy, but I can't apologise over the attachment I had with my boy and I never will. Did you ever find it difficult to see other people holding your baby?